Undergraduate research continues to be a point of interest in applications for graduate schools and enriching undergraduate education. A relatively new method of undergraduate research at Capital is the Summer Scholars program, which started in the summer of 2014. The students selected for this program will be paid to stay on campus over the summer to conduct research and construct their projects to be presented at the symposium in the upcoming academic year. The application for the Summer Scholars program is extensive, requiring faculty recommendations and an outline of the proposed research project. This summer’s applicant pool was the largest yet, with 18 applications submitted. This year also includes 8 accepted projects, which is the largest number of funded projects since the program began. The 8 honored students include Nick Bonsignore, Alexis Frantum, Hunter Orr, Christian Phillips, Moriah Reichert, Valerie Szabo, Amanda Sorrell, and Andrew Thompson. 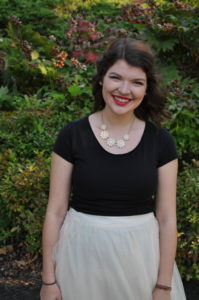 Alexis Frantum, a second-year English literature and political science major, is excited about the prospects of staying in Bexley over the summer to conduct her research project. 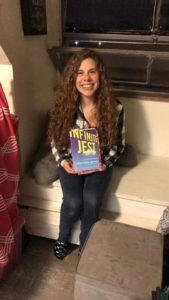 Her research will involve reading the novel “Infinite Jest,” written in 1996 by David Foster Wallace. This over 1000-page book has perplexed many readers with its seemingly meaningless plot, but continues to be an acclaimed as a literary masterpiece. She plans to re-read this novel along with other works by Wallace, trying to use reader-response criticism to find how Wallace represented himself as a character in the novel and how it mirrored his own life. Frantum plans to spend extensive time in libraries reading Wallace’s novels and believes this method of research is one of the better aspects of the Summer Scholars Program. She believes that this research program will be a great stepping stone for graduate school; she is hoping to attend law school or obtain a Ph.D. in English, and this experience will be beneficial to her continuing education. “I feel so blessed to be chosen for this, and I’m excited to be one of the few who gets this opportunity,” Frantum said. Moriah Reichert, a second-year religious studies major, will focus on the works of German philosopher Friedrich Nietzsche. After studying his work in her Modern Christian Thought class, she was fascinated with his overarching ideals. Nietzsche’s idea of “God is dead” that he was famous for hinted at other intentions. The text implies that Nietzsche believed in God, but thought that the institutions of Christianity and Judaism have fractured humanity’s vision of God. She intends to explore the idea of being “spiritual, not religious” to see if it is an effective method in getting around Nietzsche’s theory regarding religious institutions. Specific plans include visiting a scholar on “spiritual not religious,” who teaches at the Methodist theological seminary, and possibly seeing a Nietzsche scholar at the University of Chicago. Reichert is excited to start this research and gain the experience for potential graduate school plans, as well as potentially attending a symposium through the American Academy of Religion. Reichert hopes to receive her master’s and eventually a Ph.D. in the study of religion. The Summer Scholars program offers great opportunities for students as they may prepare for graduate school and provides them with necessary resources to answer new questions in their fields of study. Students can continually feel that their learning is valued as the university invests in their time and effort to expand their knowledge through research.